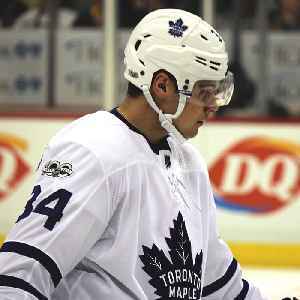 Auston Matthews is an American professional ice hockey player for the Toronto Maple Leafs of the National Hockey League (NHL). Previously, Matthews played for the U.S. National U18 Team in the junior United States Hockey League (USHL) and the ZSC Lions of the Swiss National League. Widely considered the top prospect of the 2016 NHL Entry Draft, Matthews was drafted first overall by the Toronto Maple Leafs. Matthews became the first player in modern NHL history to score four goals in his NHL debut. He scored 40 goals in his first season, the second rookie since the 2004–05 lockout to reach the milestone and the fourth teenager in league history to do so, winning the Calder Memorial Trophy as the top NHL rookie.